Kelvin D. Bodley is a native of Chicago, Illinois and relocated to Orlando, Florida in 1994. In April of 2005, Kelvin accepted a position as Special Assistant to Mayor Anthony Grant, Town of Eatonville, the first African American incorporated and oldest municipality in America. As an architect of change, Kelvin plays a substantial role as an advocate for social change and is committed to assisting the Mayor with countless special projects that enhance neighborhood economic development and community empowerment. 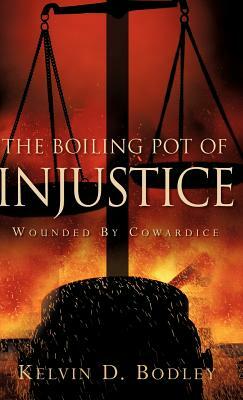 As of March 1, 2006, Kelvin completed his first book entitled, 'The Boiling Pot of Injustice' in an effort to encourage Christians to allow their light to shine as they walk through their valley of shadow of employment discrimination. Kelvin felt God inspired him to walk this journey of faith and sound the trumpet and educate Christians on the harsh reality of fighting against an organized system inundated with racial discrimination and hatred. 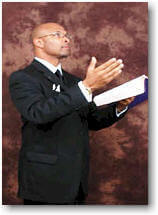 Kelvin plans to travel across the country to organize churches and social organizations to stand in the gap for the least of God's children that cannot defend themselves against spiritual wickedness in high places.In 1986 Kelvin graduated from the College of Business and Administration at Chicago State University with a Bachelor of Science degree. In 1998 he received his Masters degree in the field of Public Administration from the University of Central Florida. Kelvin is a Minister of the Gospel under the leadership of Bishop Woody E. Freeman & Elder Ella Freeman at Full Deliverance Church of Jesus, Orlando, Florida. Kelvin is President and CEO of Fairness Ministries and has devoted his life to serving the Lord and fighting for social change for all of God's children regardless of race, gender or creed. Tell us how much you like Kelvin Bodley.